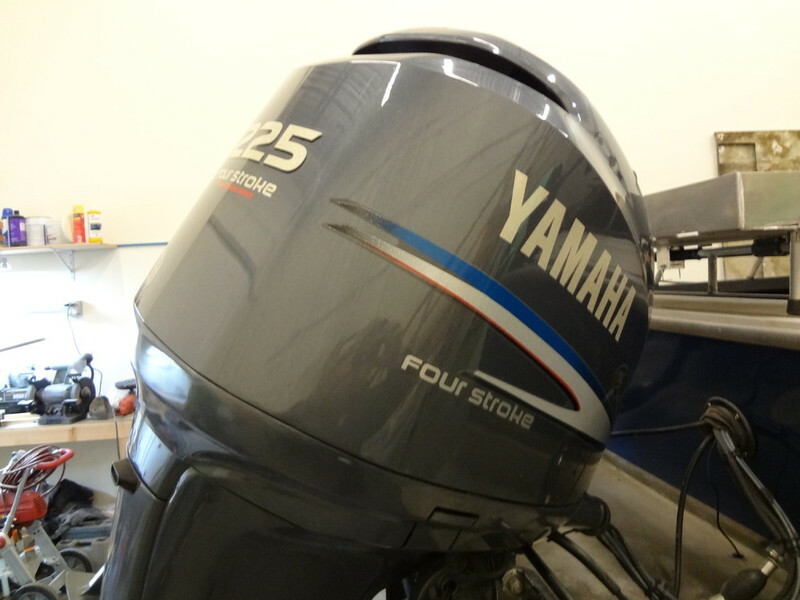 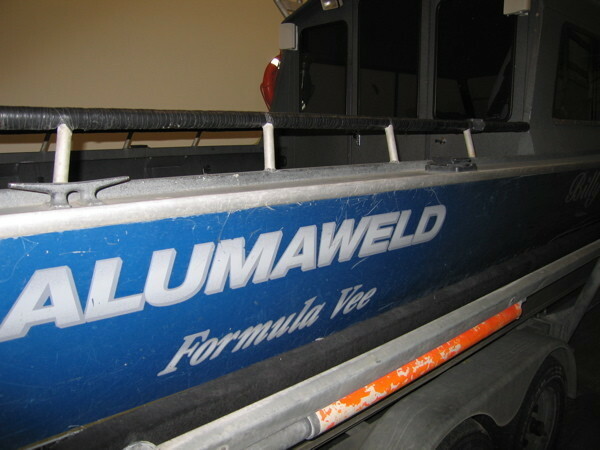 Follow along as Ashbreez Boatworks refurbishes a 1998 26' + Alumaweld. 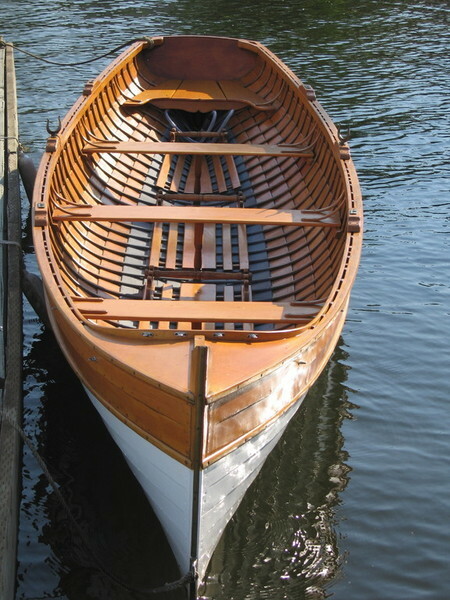 (The "plus" being the additional length due to the motors and motor platform.). 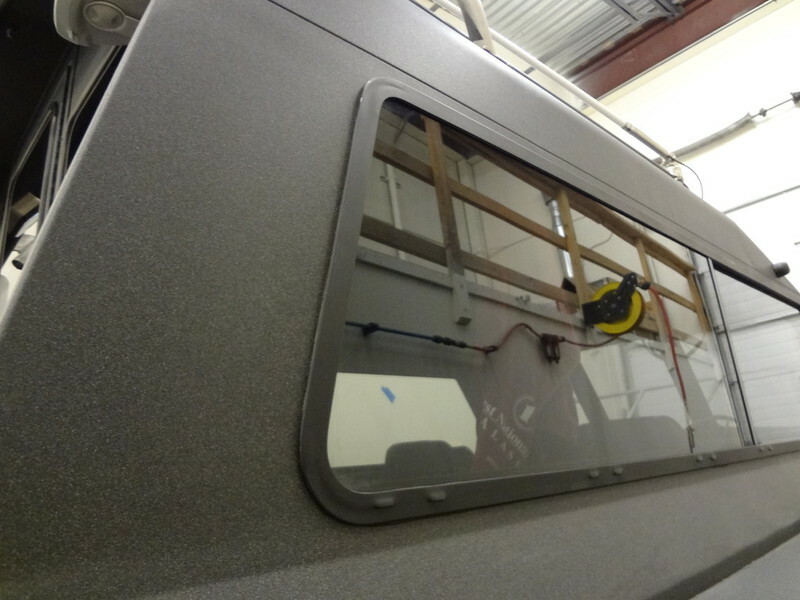 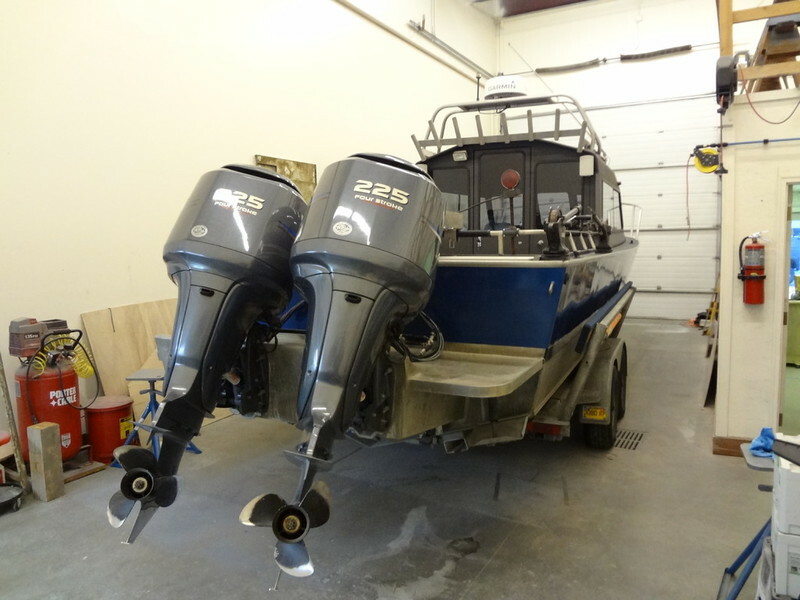 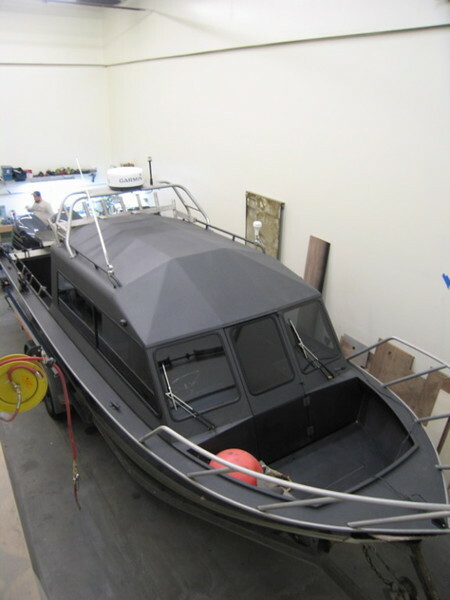 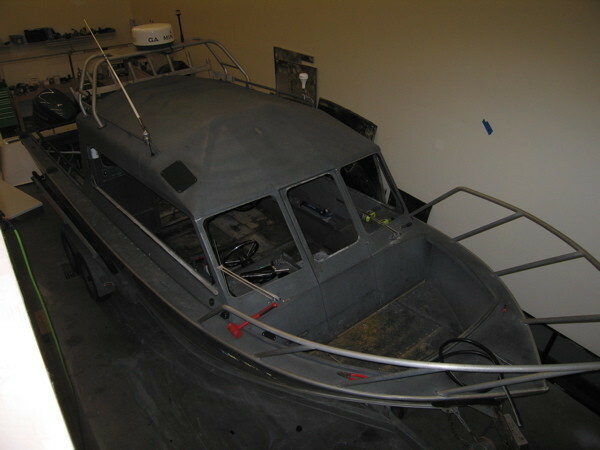 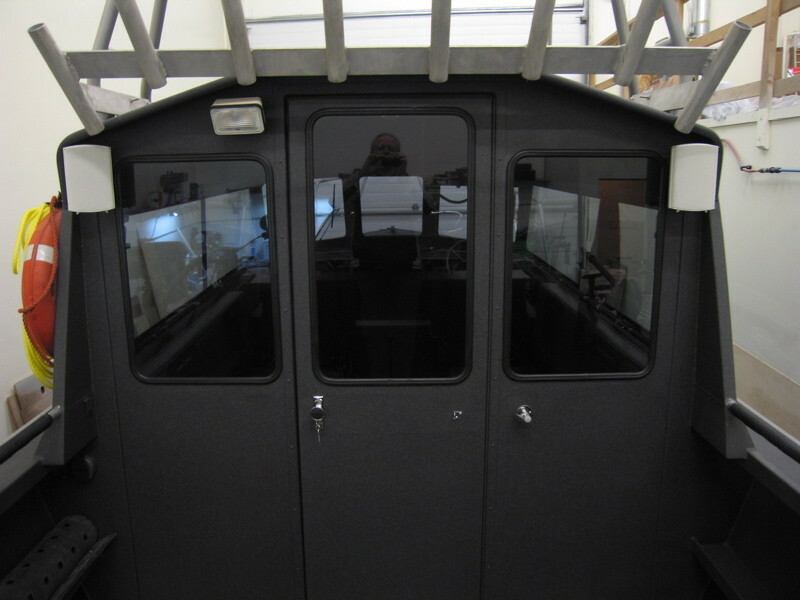 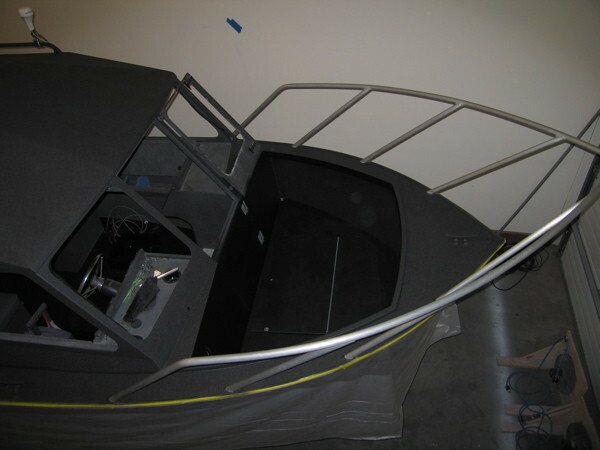 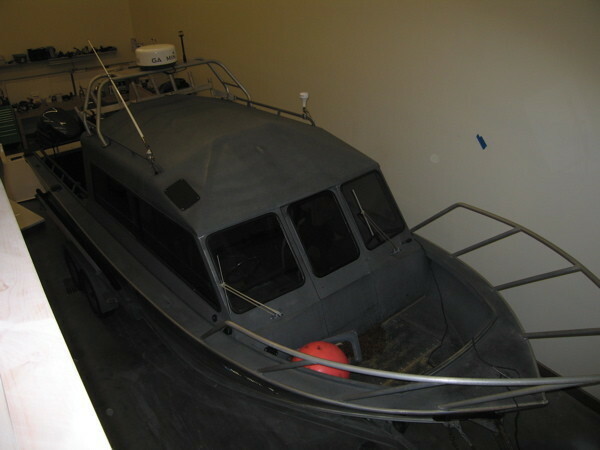 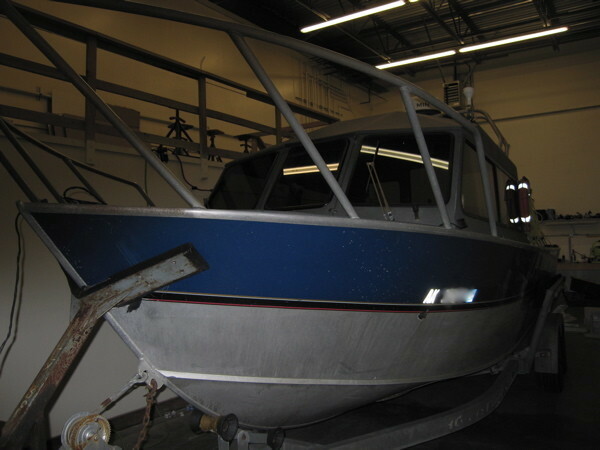 This project includes: extensive preparation prior to the full exterior, two-tone repaint with new pinstriping and graphics on the hull; primer and Zolatone on the exterior cabin, aft cockpit, and decks; new hardwood floorboards that are sealed, primed and top coated with a tough exterior finish, installation of a Wallas Diesel heater for the cabin; installation of a fuel gauge sending unit that will show fuel levels on the GPS; new Airride captain's and co-helm chairs, all new exterior hardware, navigation lights (and their proper placement to meet USCG regluations), repair of engine cowlings, and new stainless steels skegs for the twin motors. 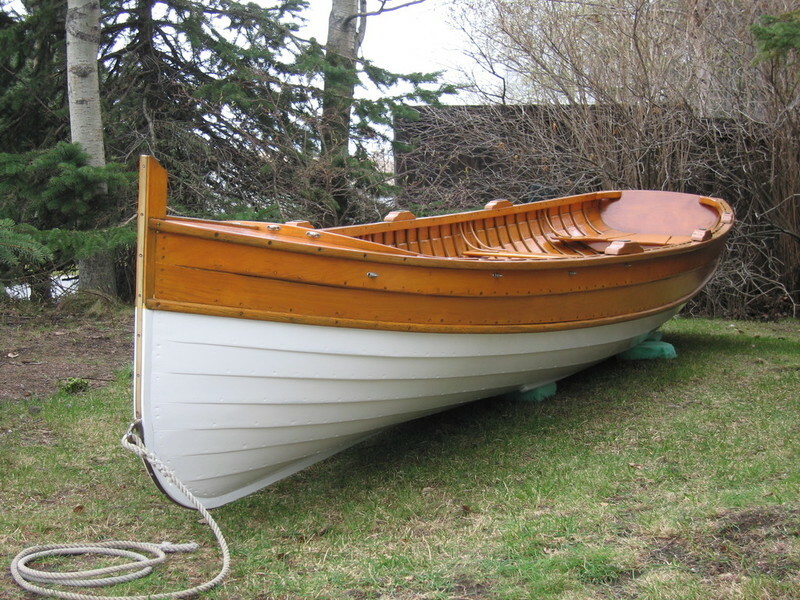 Practically a new boat! 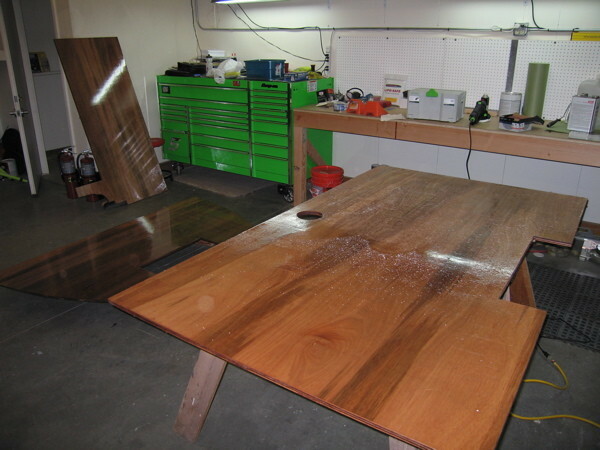 Feel free to follow along as we share the various stages of work on our site. 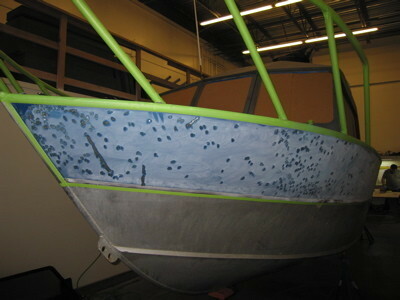 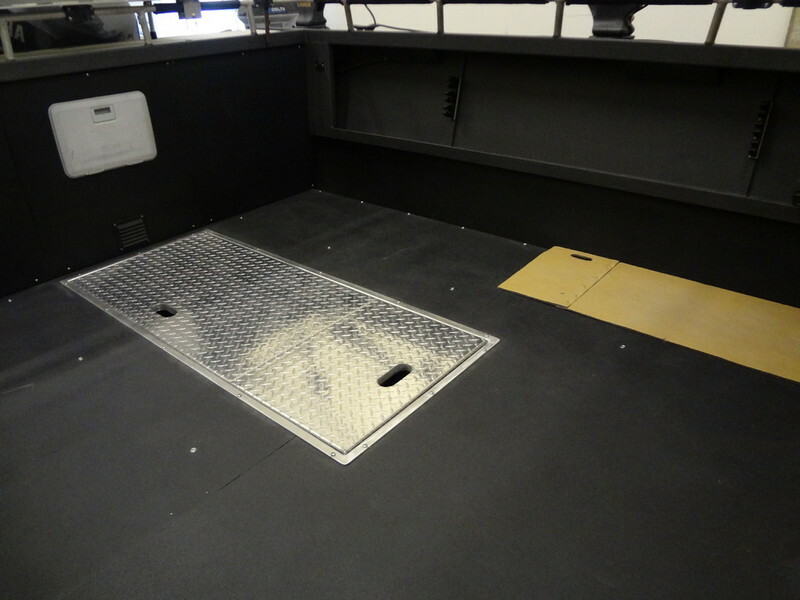 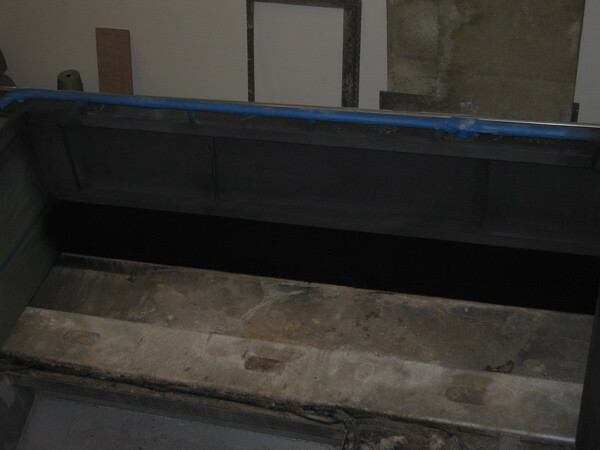 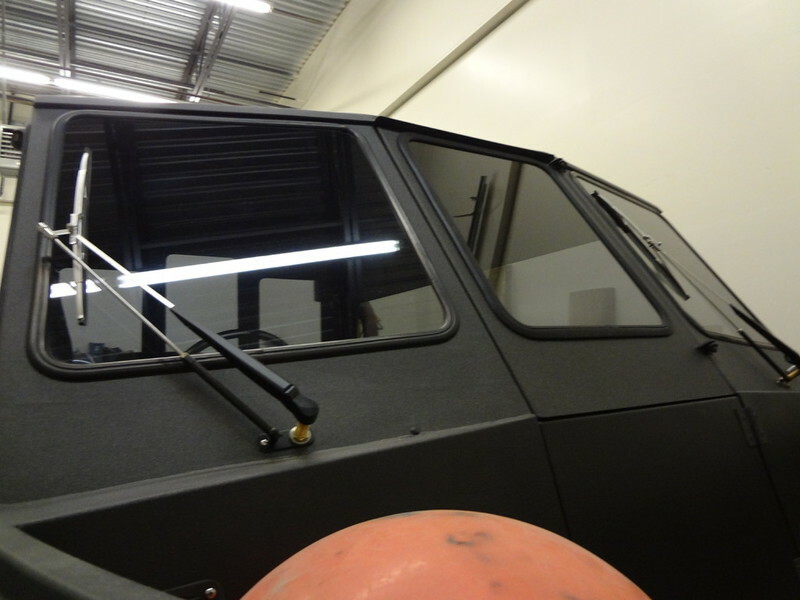 Below are several "before" shots, as it appeared coming into our shop. 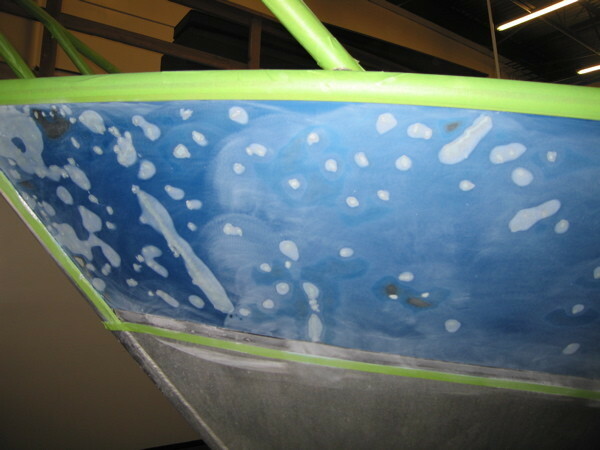 Preparation:What follows is a slideshow overview of the preparation involved. 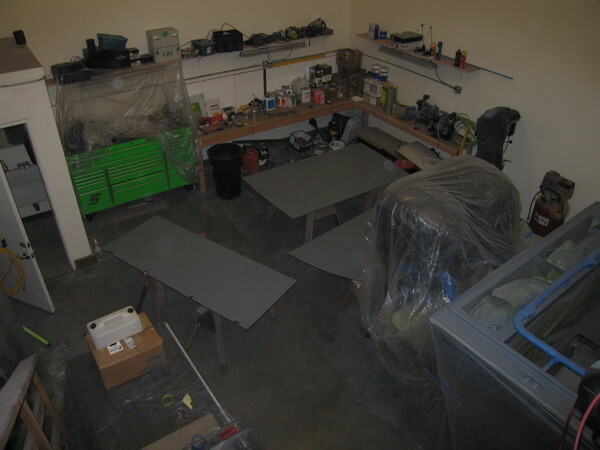 Each slide has a caption to explain what was occuring at the time of the photo. 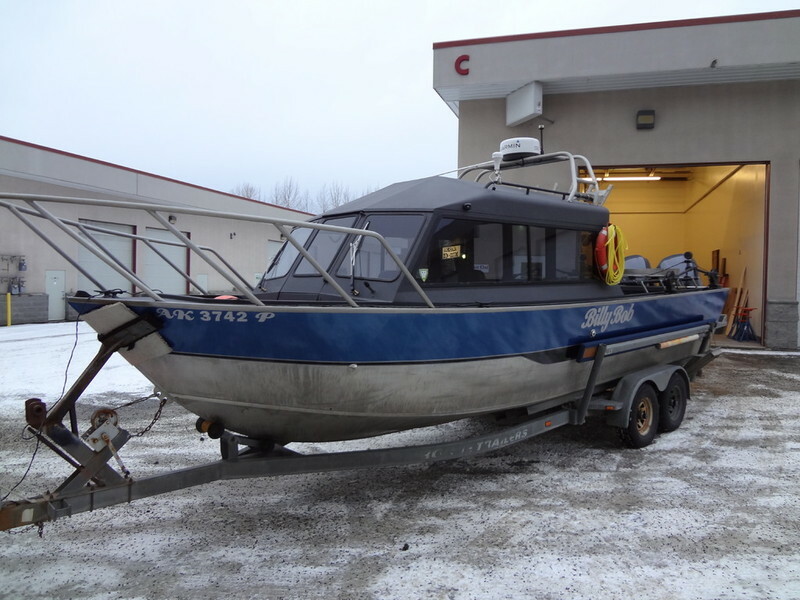 As you will see, this is a well-used 13-year-old boat that has been trailered extensively to various fishing grounds over the years. 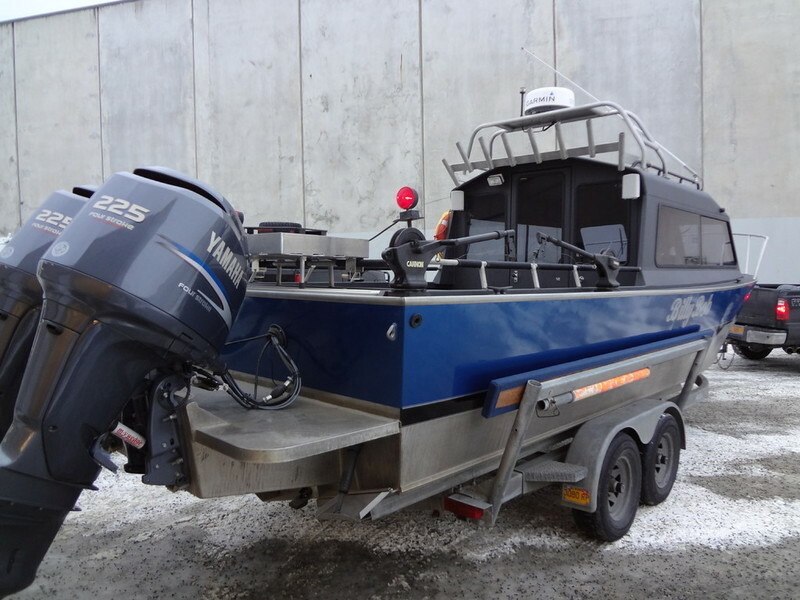 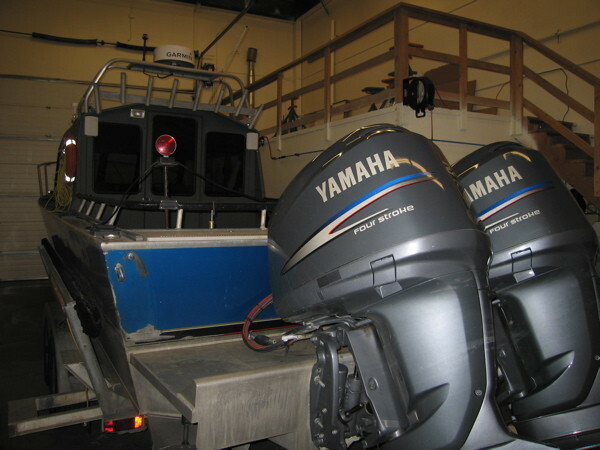 It is frequently launched from Deep Creek and also fishes the waters of Resurrection Bay. 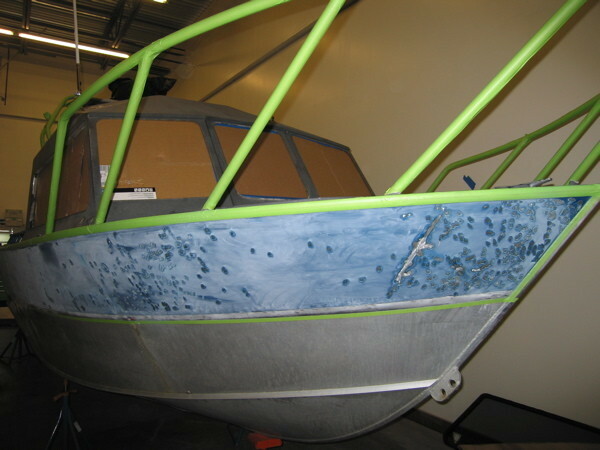 So, there is a lot of "road rash" on the bow from trailering and "gaff/hook rash" around the cockpit from fishing. 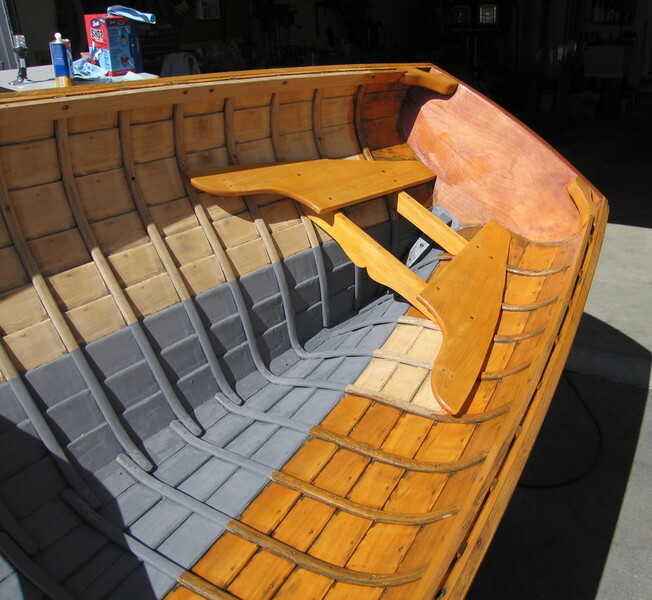 All of the rash, each and every ding, was sanded, filled, and faired. 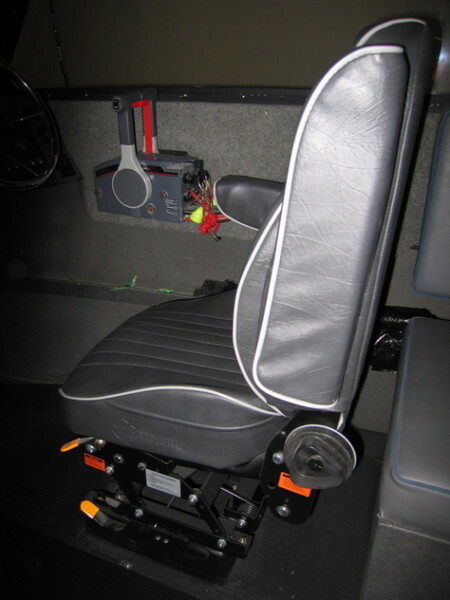 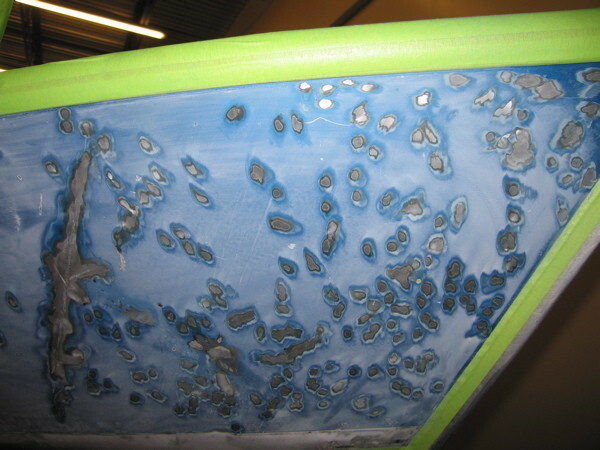 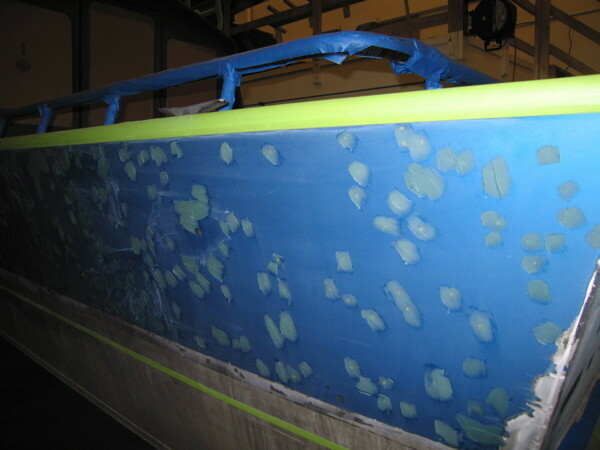 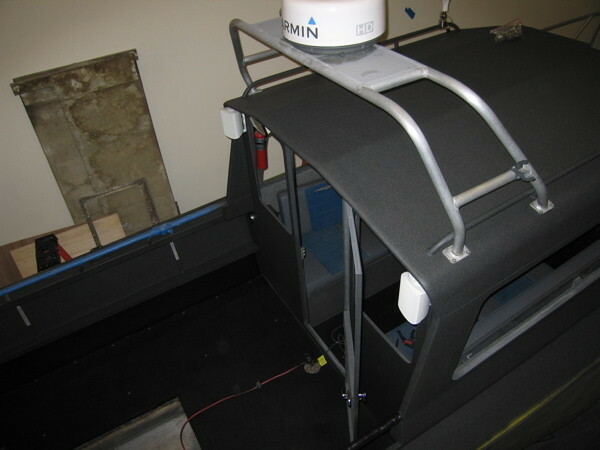 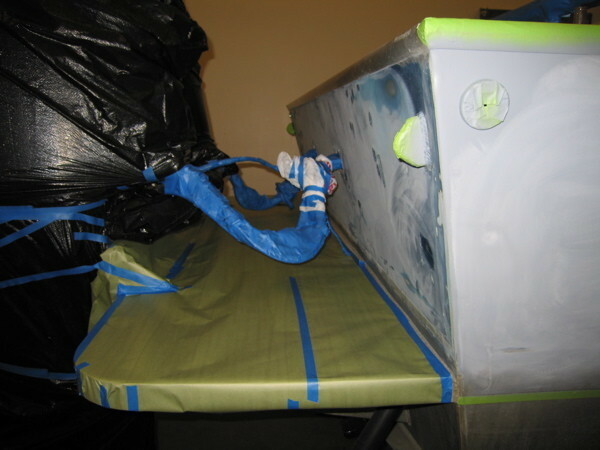 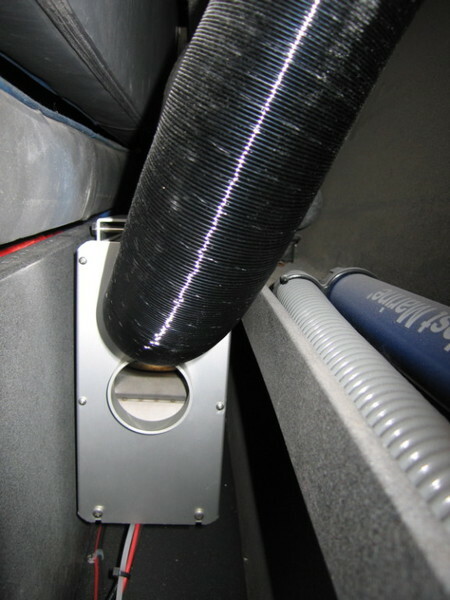 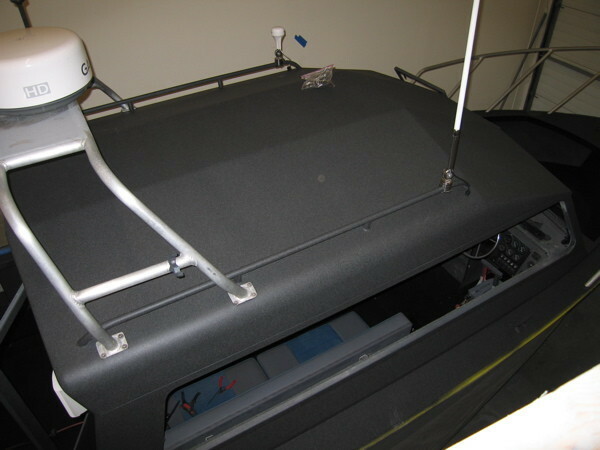 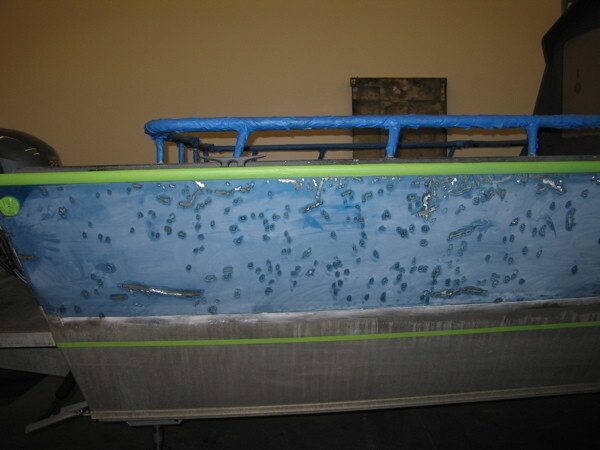 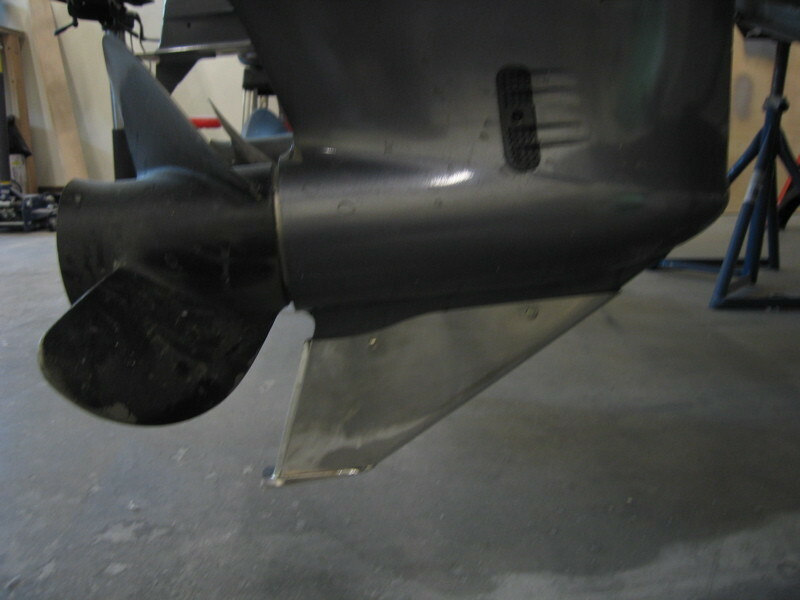 You wil also see the extensive taping and covering that is needed in order to paint the hull, cabin, decks, and cockpit. 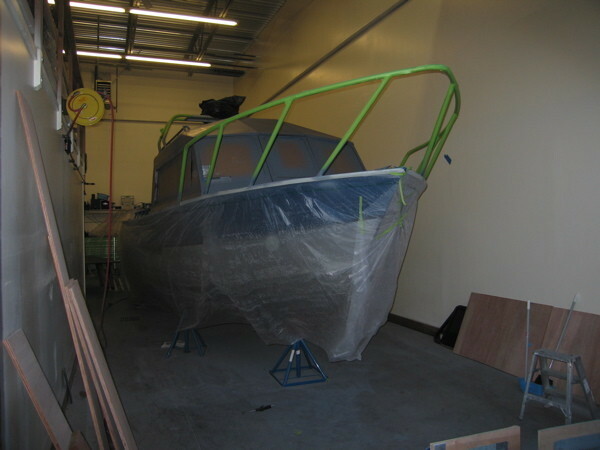 Priming underway...The cabin and decks have their final primer coat and the hull fairing and priming is underway. 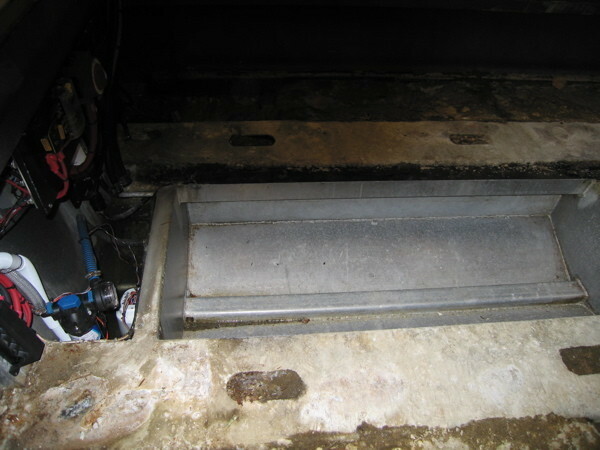 The original floorboards were rotting and new ones were needed. 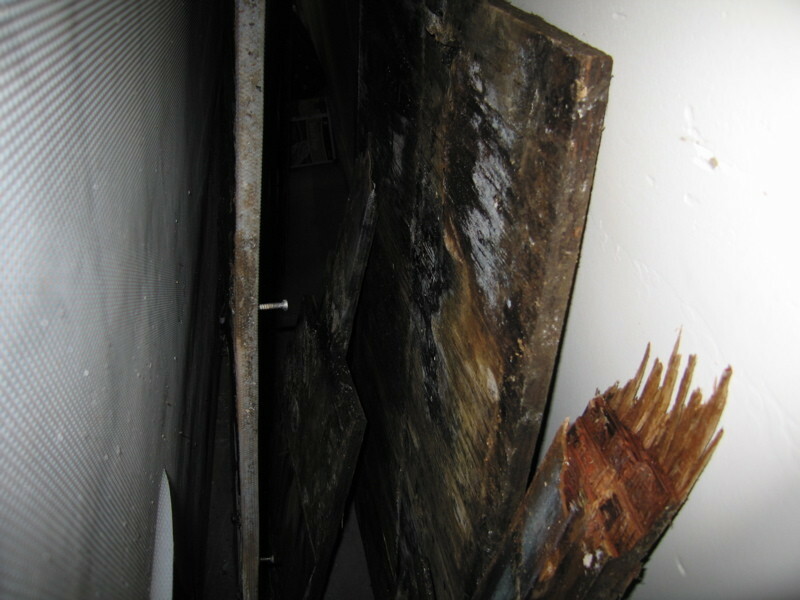 These boards should last much longer, given the treatment they underwent prior to installation. 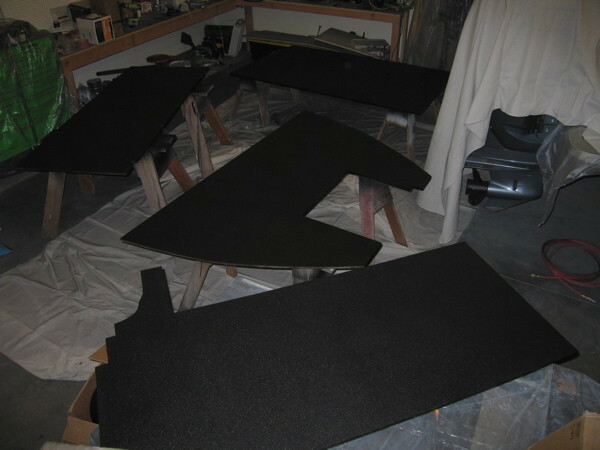 Finishing begins... As you can see, the final finishing has begun. 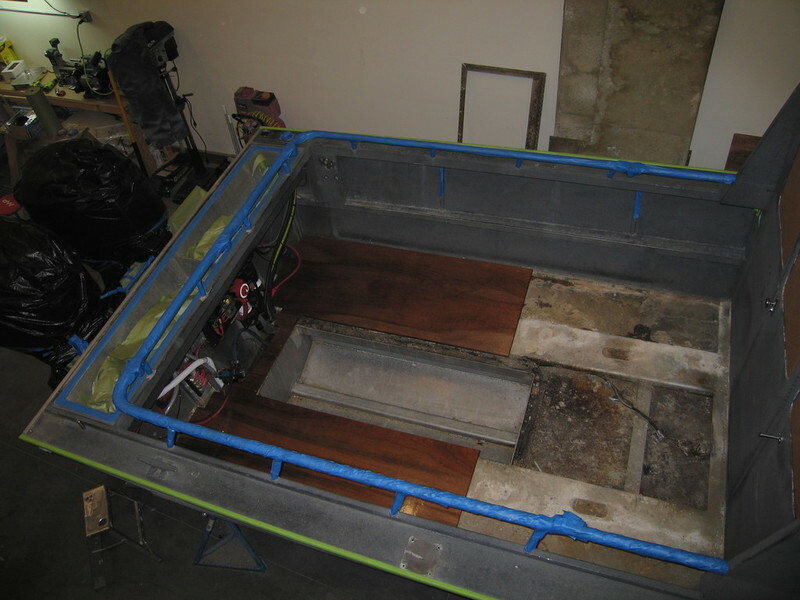 The boat has been painted, floorboards installed and the finishing touches are beginning to happen. 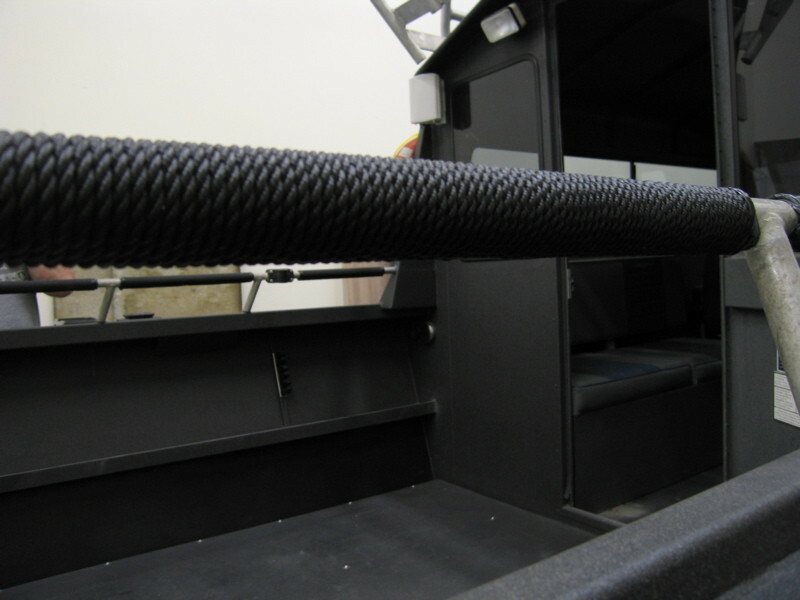 Ropework highlighted...The aft cockpit handrails previously had pipe insulation wrapped with electrical tape to cover the bare, often wet and cold, handrails. 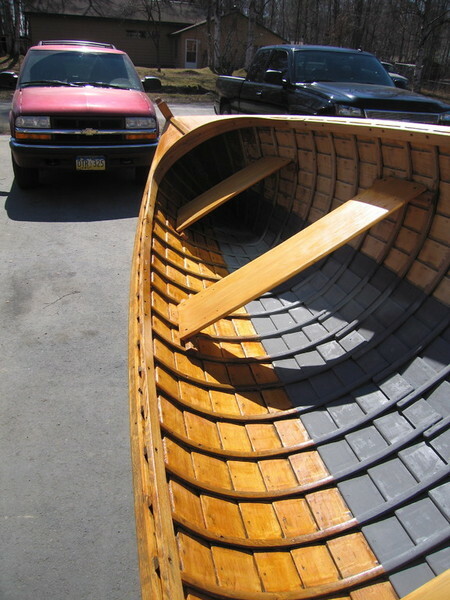 Those were removed and Joel, using his ropework skills, hand-tied rope to each handrail, followed by multiple coats of varnish. 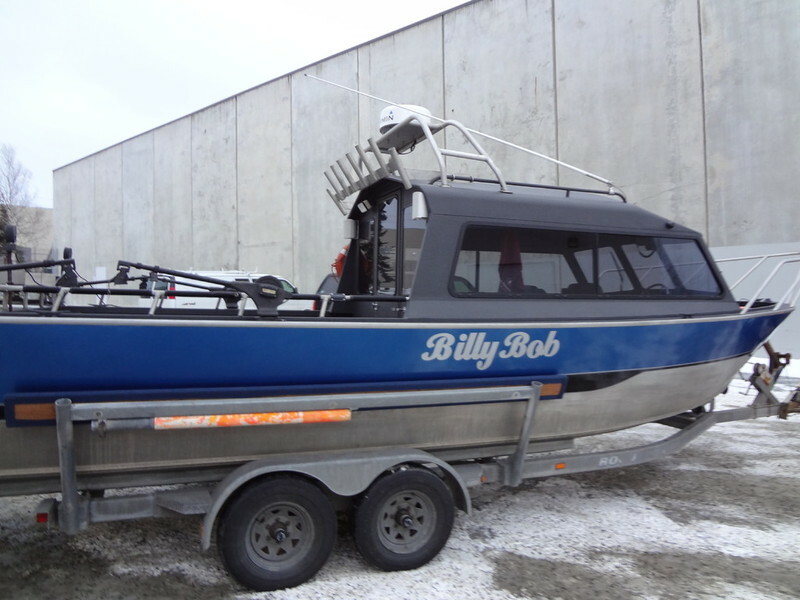 Project is completed...As you will see in the following slide show, the work commissioned on "Billy Bob" is complete. 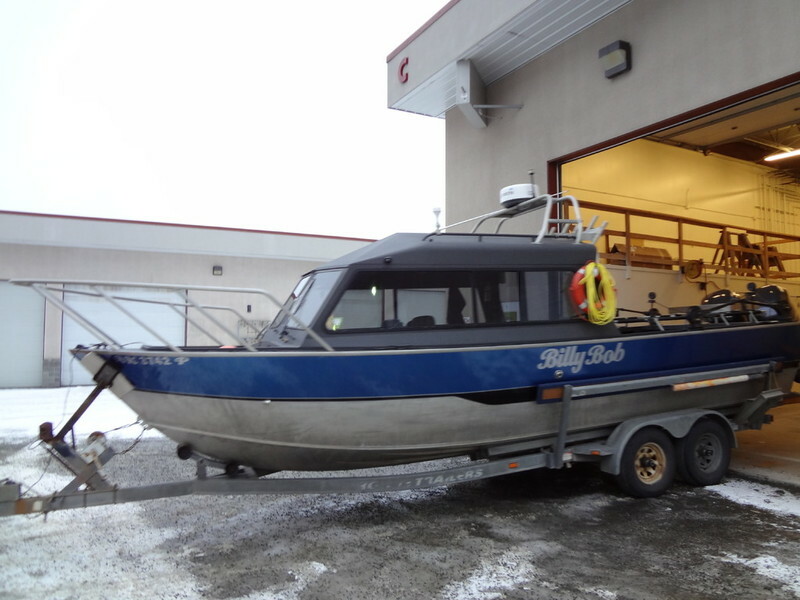 And "BillyBob" sees daylight for the first time since refurbishment... "BillyBob" moves out of the shop, in the mid-December light, in the hands of its owners, ready to face many new adventures. 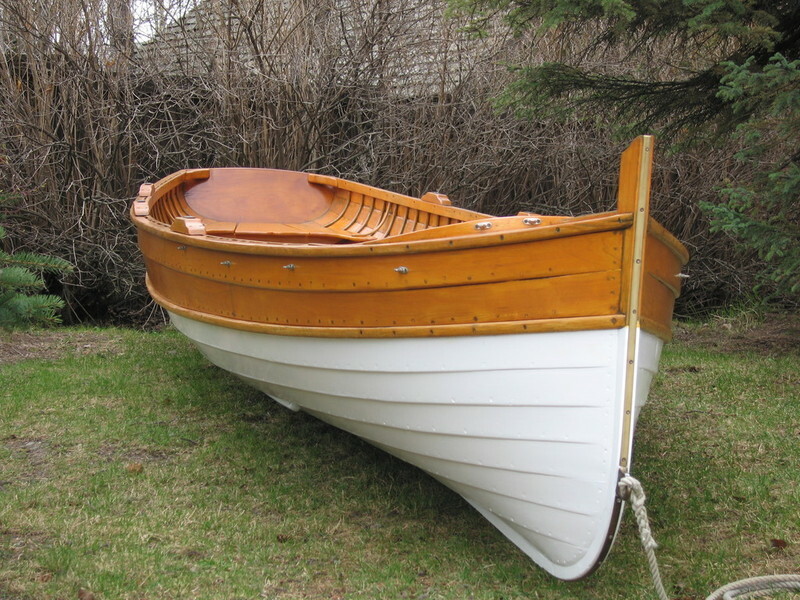 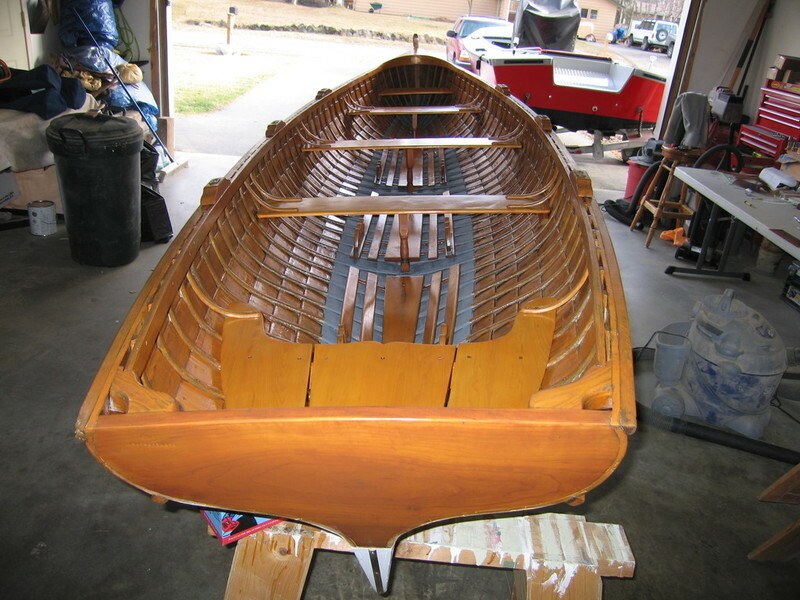 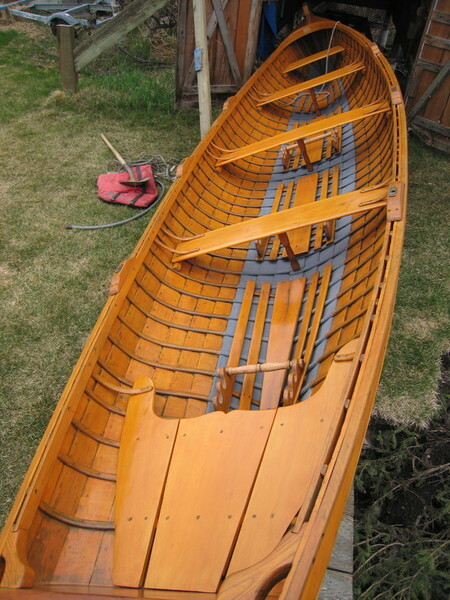 This rowing craft was built in Minnesota for an Alaskan physician and his family. 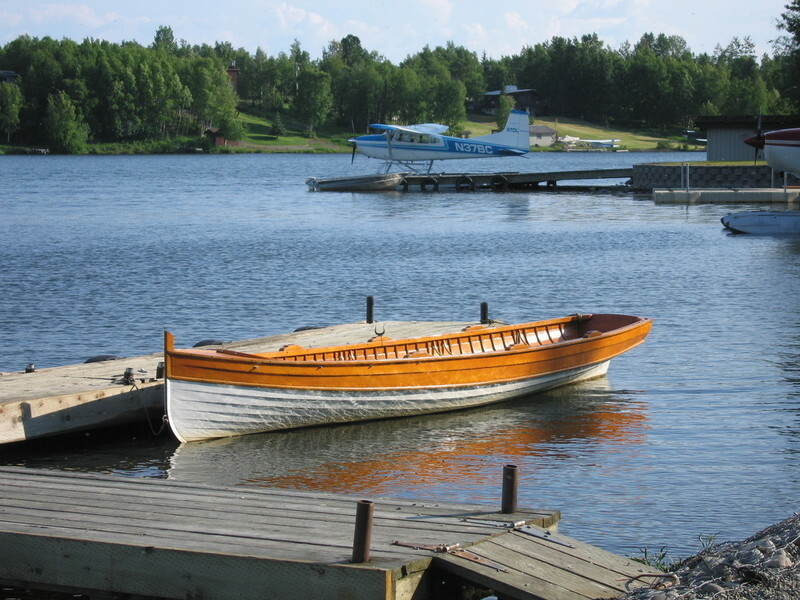 They used it in numerous Alaskan waters, including Tustemena Lake. 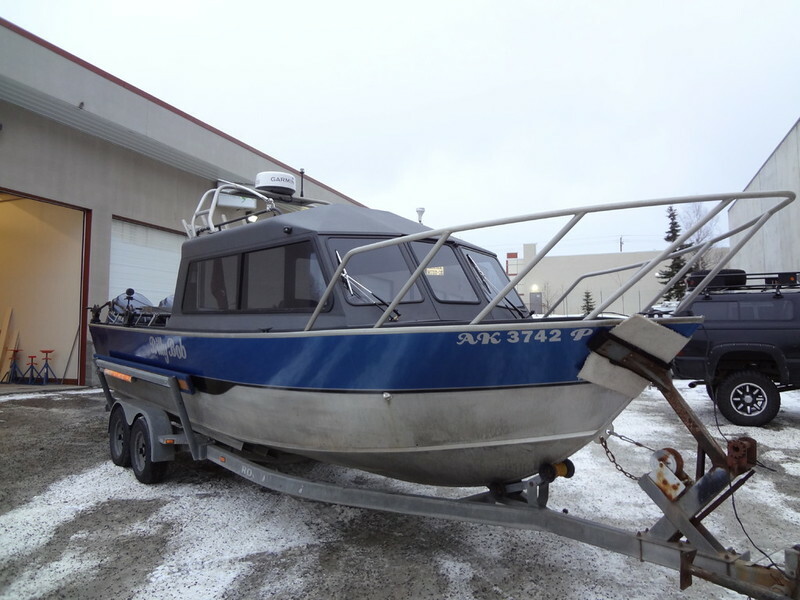 The current owners home port it on a lake here in Anchorage. 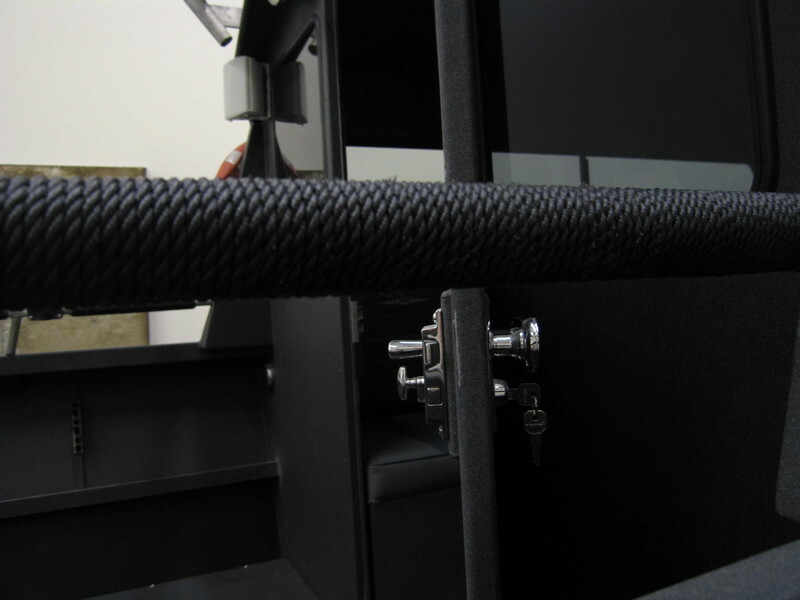 What a beautiful exercise machine! 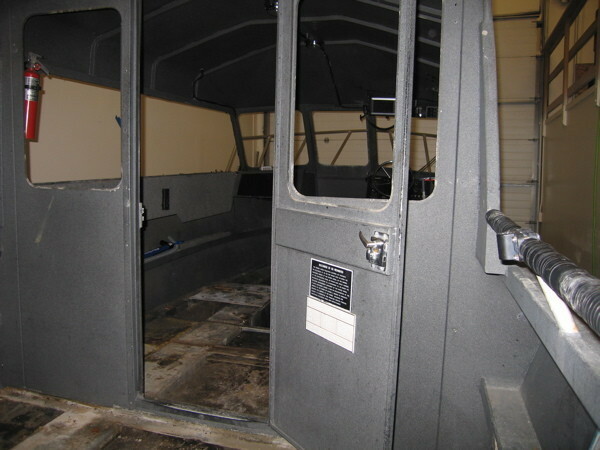 The interior and exterior was repaired where needed and refinished, which included taking the interior down to bare wood. 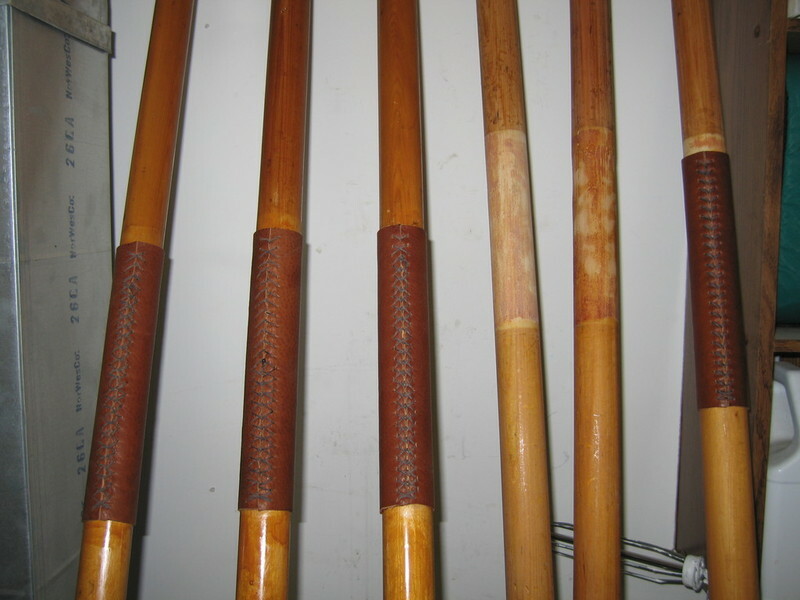 The oars were repaired, as needed, and new leathers were stitched on. 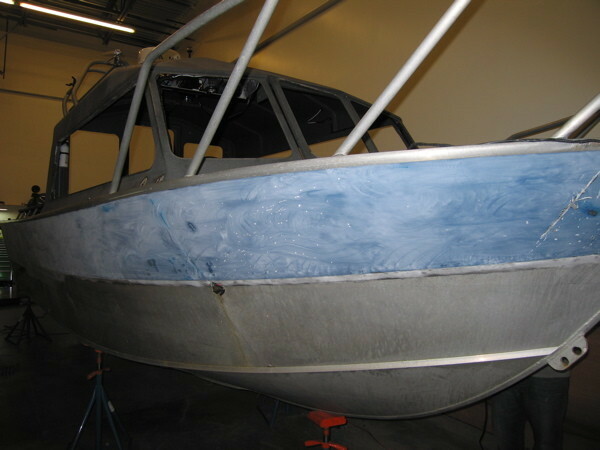 Yet another example of Ashbreez being able to work in several mediums including wood, fiberglass, aluminum, and composites!